My love for baking is growing with my love for food styling. It’s great to experiment with the recipes I know and love so much. Now, I only need to learn to cook hearty food so I can practice my food styling on that as well as my baking. 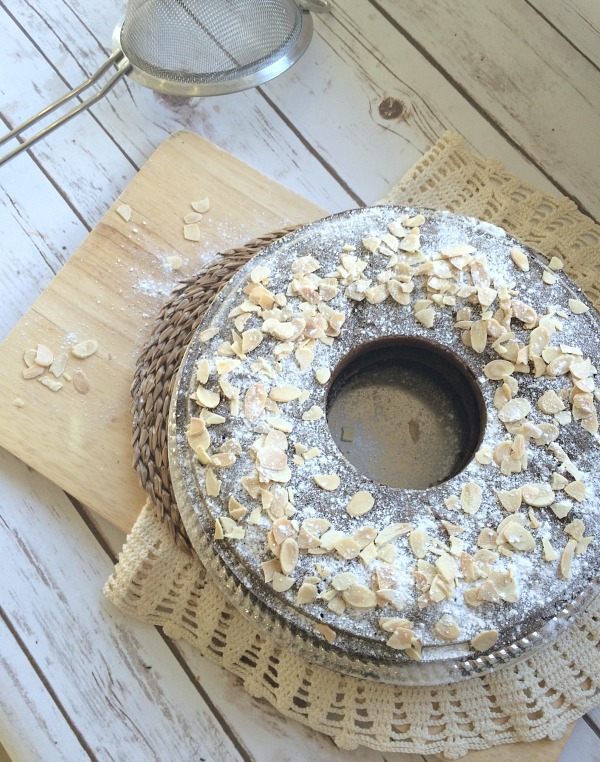 This is an Almond Chocolate Coffee Cake that is perfect for the holiday season. Will be sharing my secret recipe soon so stay tuned. But…it has a whole in the middle?!!? Looks really yummy! Yes it’s a bundt cake although a little less round! Thanks hunny. It really did turn out scrumptious. It really was perfect for sunday afternoon and a hot cuppa. Thanks hunny the recipe will be featuring on Wayfair soon. Can’t wait to see it there. So excited. It turned out so yummy. This looks delicious, I look forward to the recipe being shared! Ooh, that looks so delicious. I’m looking forward to reading the recipe! Oh that looks delicious – I’m looking forward to the recipe! Thanks Carie. It will be featured on Wayfair but i will be sharing the link soon. that looks marvellous. i have found i am getting more and more used to food styling with my blog. it is quite an art.